CG Says: Hyundai’s sporty three-door compact hatchback kicks off its second generation for 2019, after taking the 2018 model year off. As with the original Veloster, the redesigned model has one door on the driver’s side and two on the passenger side, as well as a top-hinged hatchback and a steeply sloped rear roofline. All Velosters are front-wheel drive. 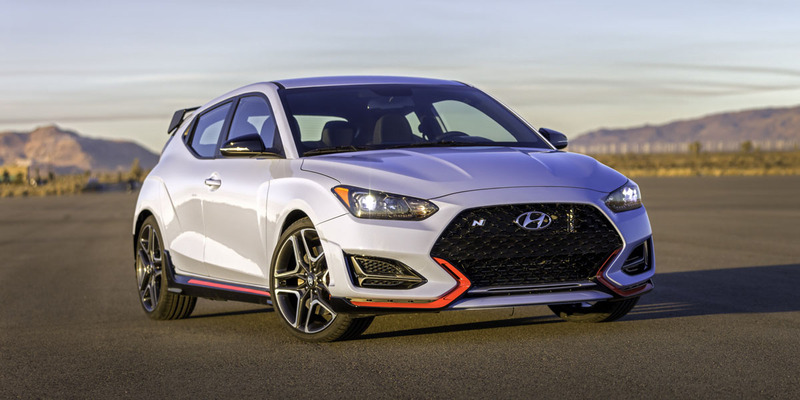 The previous Veloster’s 138-horsepower 1.6-liter base engine is replaced by a 147-hp 2.0-liter 4-cylinder that is paired with a 6-speed manual or 6-speed automatic transmission. A 201-hp turbocharged 1.6-liter 4-cylinder with a choice of 6-speed manual or 7-speed automated-manual transmission returns for Turbo models. New to the lineup is a high-performance N model with a turbocharged 2.0-liter 4-cylinder engine that puts out 250 hp, or 275 hp with the optional Performance package. 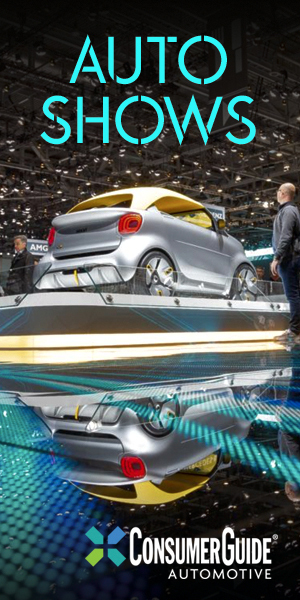 The N is also outfitted with other racetrack-focused upgrades such as firmer suspension, upgraded brakes, and high-performance tires, and it comes solely with a 6-speed manual transmission. Standard features on all Velosters include forward collision warning and mitigation, lane-keep assist, driver attention warning, and Apple CarPlay/Android Auto compatibility. The Veloster’s redesign delivers marked improvements over the outgoing model, particularly in terms of available features and rear-seat headroom, and the snarky new N model should attract enthusiast buyers. As before, the swoopy 3-door-hatchback styling looks distinctive and dynamic; it’s more practical than a traditional sporty coupe, but not as spacious or versatile as a traditional compact hatchback. If you like the Veloster’s feel but want a little more room, check out Hyundai’s own Elantra GT 4-door compact hatchback.